Today I walked past a study in black and white. A stark stream of sunlight fell on lightly nodding orchid petals. White linen draped over smooth ebony stones. 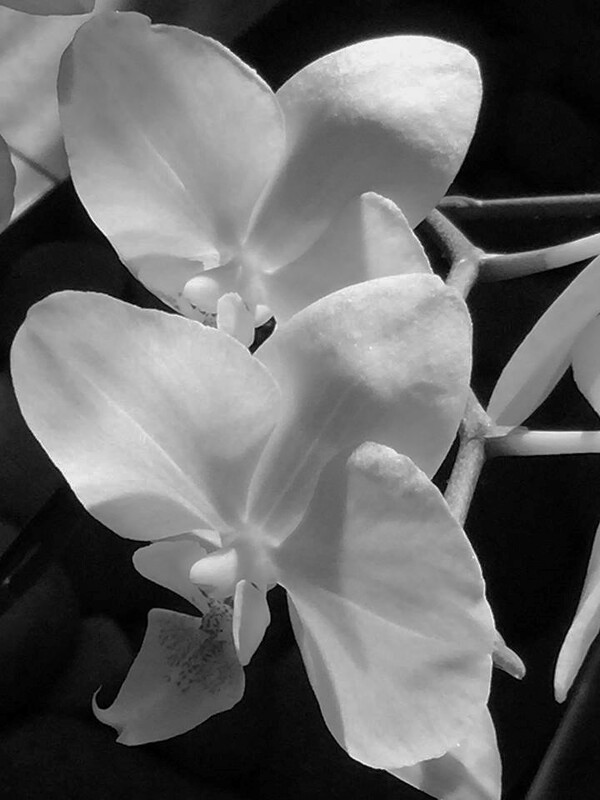 This entry was posted in Love and Loss and tagged Agnes Lee's "Black Flowers and White", black and white photography, orchids. Bookmark the permalink. Beautiful words & photo, very precise. Reminds me of Whistler painting. This is a wonderful photo. From black to white with gray between, you have done a great job with exposure and composition. I am so glad that you took up the 5 Day challenge.